How do you stand out in an exhibition hall where there is so much going on? What do you want to achieve with your attendance at an exhibition? What message are you trying to communicate? What sort of budget do you have at your disposal? The process of designing your stand begins with these questions. Verkerk Standbouw works with you to list your wishes and requirements, on the basis of which an initial creative design is produced. This is on a no-cure-no-pay basis. Once you have approved the design of the stand, we will get in touch with the exhibition organisers and seek approval for it. At the same time, we will ask about the facilities, such as water, electricity and internet service. 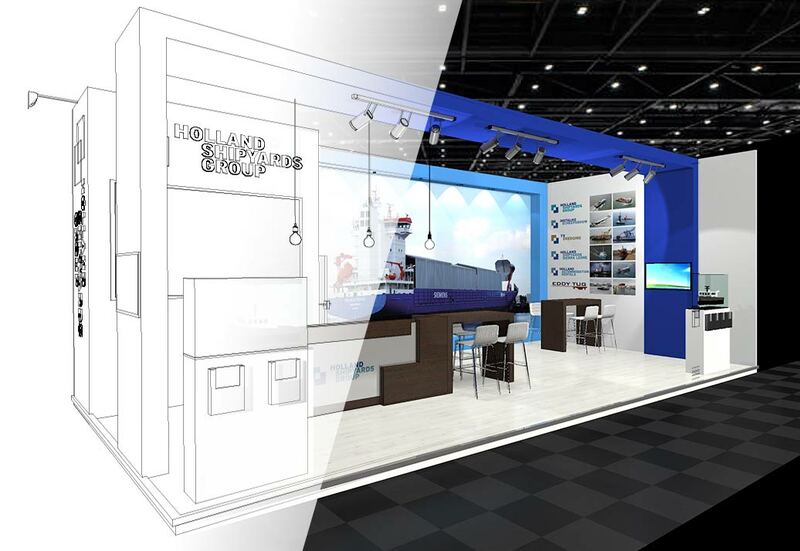 Then we will take care of the production, transport, construction and installation of your stand. We will also be available during the exhibition so that you can always get in touch with us directly with your questions. We understand that attending an exhibition doesn’t happen every day. That is why we will ensure you get the most out of it.